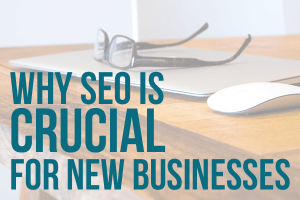 One thing that gets overlooked when business owners optimize their websites on their own is that the correct optimization of your images can actually help with SEO. Ever wondered what determines how images rank in Google’s Image Search? It’s a separate algorithm that works similarly to Google Search. Even if you aren’t in an industry that will really benefit from ranking your images in Image Search, having high-quality, relevant images will help with user experience and signal to Google that you care about the details of your site. Google appreciates detail-oriented businesses and will rank them accordingly. Have you ever downloaded or imported an image with a bunch of numbers in the file name? Without an image preview, how would you ever be able to tell what the contents of that image are? If you rename your images with appropriate descriptors like “Man in Tan Suit.jpg” instead of “p1788043frp.jpg”, you’ll be able to tell what your images are before you upload them. When you do upload them to your site, this will also signal to Google what the contents of your image are, allowing them to ranking Image searches. 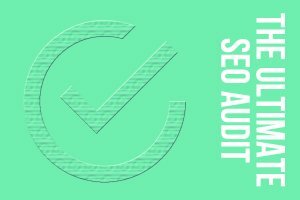 This little detail takes less than a second to attend to and can have a big impact on the legitimacy of your website for search engine crawlers. Before you upload images to your site, scale them to a smaller file size to allow your site to load faster. This can easily be done without compromising image quality, especially using Photoshop’s Save For Web & Devices tool. Pay attention to what type of file you’re using (.png vs .jpg) and the contents of your image. For example, if you’re using a picture of a stop sign, there’s a good chance that your image won’t look any different using PNG-8 because you probably have less than 8 colors. But you might want to consider using a .jpg file type for a cityscape or image of a busy park. Our last recommendation for proper image tag optimization is to describe your images using the image alt tags. If you’re a carpet cleaning company in Dallas and you upload an image of your technician using the equipment, use an image alt tag like “carpet cleaning dallas tx”. However, don’t overdo it with an alt tag like “carpet cleaning service carpet cleaners dallas”. Search engine crawlers will pick up on this “keyword stuffing” in your image tags and it can act as a small penalty against your site. Choose smart keywords and alt tags and your site will be rewarded. This isn’t so much a tip for image optimization as it is for your site users’ benefit. Images that are right-aligned are better for use in large paragraphs of text because they don’t break the user’s reading line. When you left-align your images, users have a harder time scanning the text for the information they need, and making your page difficult to read could lead to decreased time spent on the site.